Delkevic offer gaskets, straps, clamps, and baffles to fit our silencers or compatible silencers from other manufacturers. Find your replacement here! 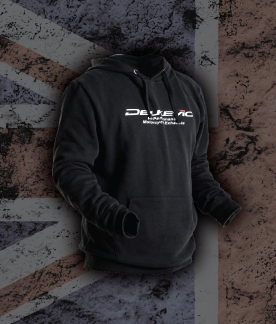 Delkevic is now proud to offer quality clothing designed to support the brand. Currently, we offer one style of t-shirt and two hoodies. 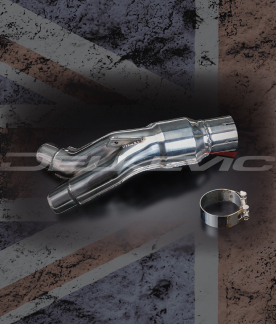 All garments are manufactured to the same high standards as our exhaust products and are available in a range of sizes. Delkevic collectors are manufactured from 304 austenitic stainless steel which offers truly exceptional value for money and superior corrosion resistance to that of ferritic stainless steel. 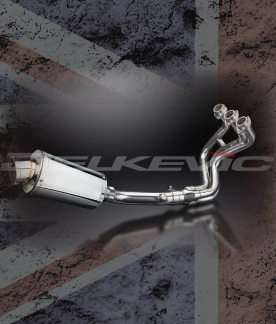 From superbikes, racerep to sports tourers, Delkevic is constantly expanding the range of exhaust systems to include applications for many Japanese and European Motorcycles. The use of high quality materials means that many full systems not only offer a performance improvement but also a noticeable weight saving. 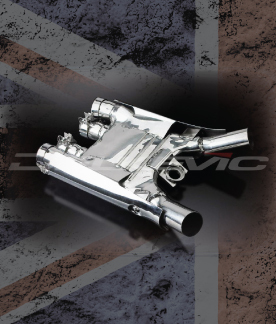 The Delkevic range of complete exhausts systems for the retro and classic bikes continues to expand with many new models being announced periodically. 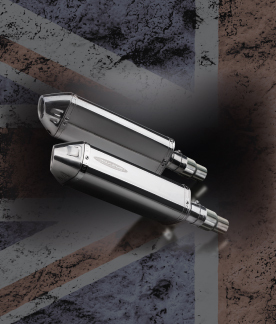 Whether it’s a 3 stage chrome plated complete system or a highly polished stainless steel set, we only use super high quality base materials in our motorcycle exhaust systems. 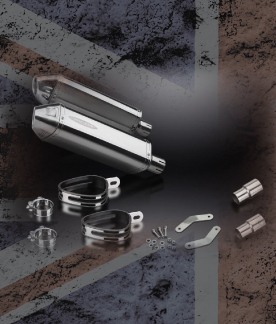 Delkevic de-cat pipes are the easiest way to unlock performance from your motorcycle! By removing the restrictive standard catalyser and fitting a free-flowing cat eliminator or “De Cat” pipe you will feel the benefits of improved torque and increased performance whilst maintaining the integrity of your exhaust system. 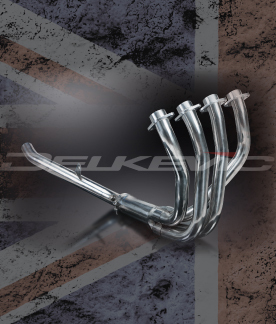 Delkevic motorcycle downpipes and exhaust headers are mandrel formed to ensure uniform cross section and dimensions ensuring a guaranteed fit and reliable performance. They are manufactured from high quality 304 stainless tube for the primary section. All exhaust systems are developed and extensively tested in the UK to ensure that not only do Delkevic exhausts fit first time, every time, but also that they work efficiently and effectively. 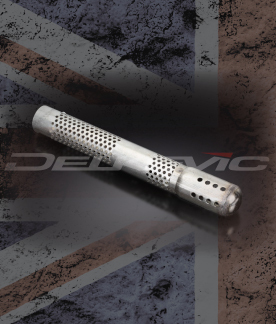 Delkevic silencers include a removable baffle system. Available in carbon fibre or stainless steel, short or long, loud or very loud, a suitable option is available for a wide variety of bike models. Delkevic silencer kits cover many brands and bike models. The kits include the necessary silencers with a removable baffle system, link pipes, straps, gaskets, clamps, and fittings. 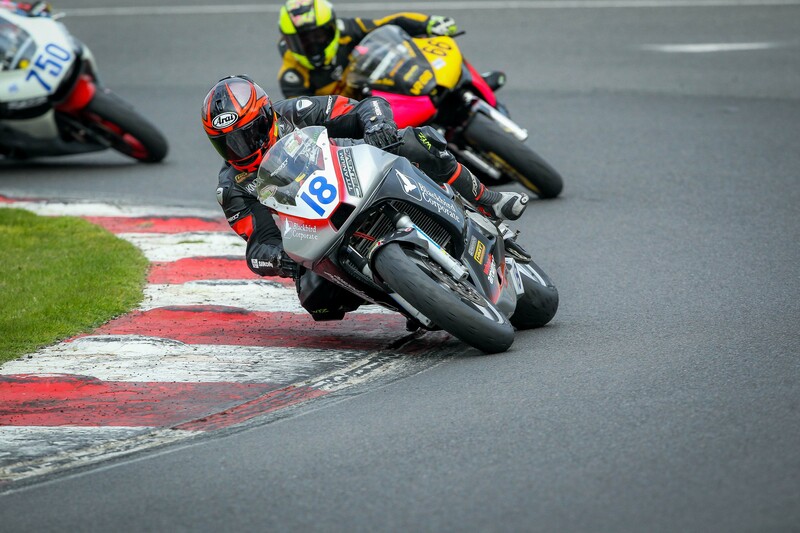 Delkevic supported motorcycle race team, CV Racing are off to a strong start this season in the opening round of the Thundersport GB series. 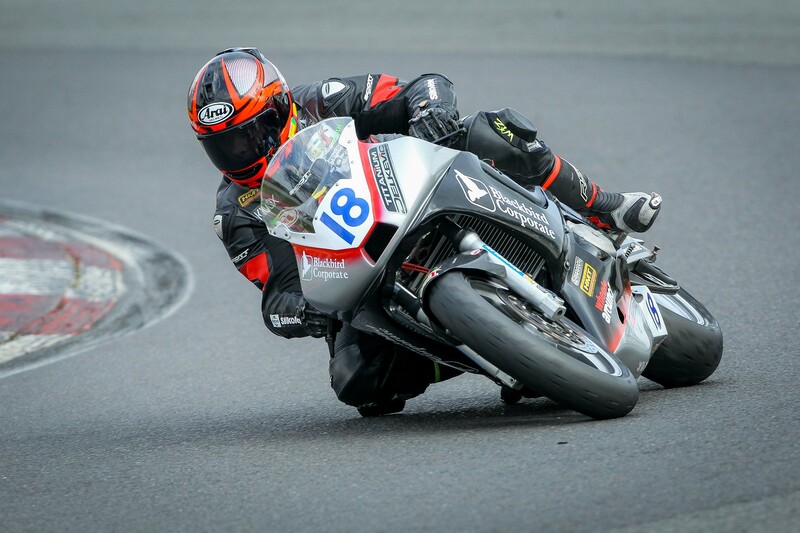 The CV racing pre-injection Yamaha R6 is piloted by Carl Vickers who has great form from last year and shows the potential to be very competitive this season. 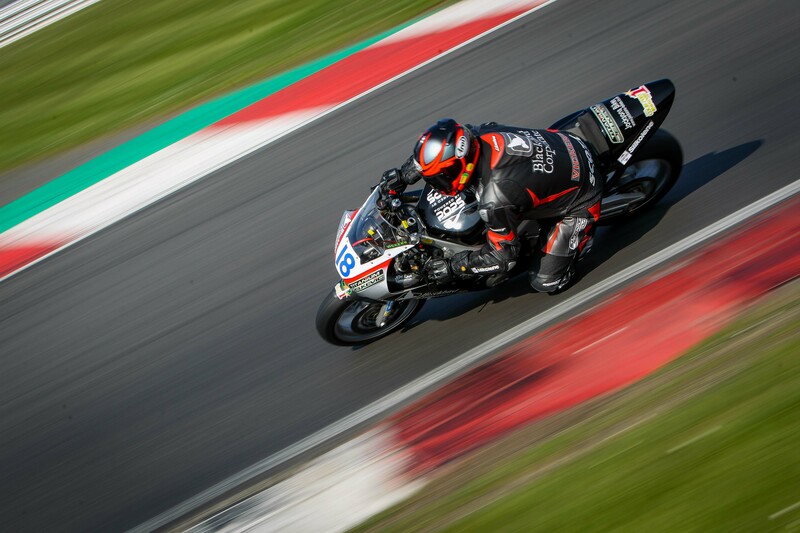 The first round of the season was held at the weekend on the Brands Hatch indy circuit, which is not a particular favourite of Carl's but the results would suggest other wise! Despite several yellow flags and traffic making it a challenging session to get a clear lap but despite this, Carl acheived a PB getting a 51.98 second lap putting him in P6 on the grid. Starting strong, Carl managed to sit in 5th for most of the race but made a mistake and Liam Vella having shadowed him for a while, made the most of it. Thinking he had 6th in the bag and chasing Liam back down, new to the class Daniel Jones made a good clean pass at the hairpin, pipping Carl to the line by 400ths of a second for 6th. 7th for Carl - but steady points! Top 3 were away in the distance from the first few laps and Daniel Taylor put in a good performance in 4th. 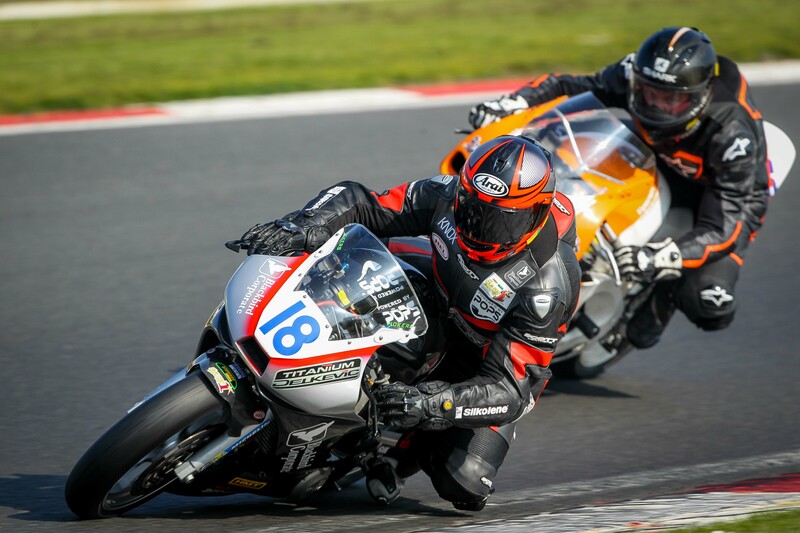 Delkevic sponsored CV Racing had a great battle with both Liam Vella and Kane Langston getting the better of both to pinch a good 5th place and achieving a new PB down to 51:156. A much colder day than the previous day, with quite a few racers getting caught out with a cold tyre when going through Graham Hill Bend (the first of only 2 left handers on the Brands Indy circuit). So steady away was the order of the day. A good steady race with consistent 52sec laps saw CV Racing come over the line in 4th place. The last race of the day, Carl had a clean start, meaning he was in 5th place after the 1st lap hot on the heels of Dan Jones for the final podium, after chipping away Carl managed to slip past into 3rd position during the 4th lap, consistent high 51 second laps meant he pulled a lead on chasing Liam Vella. 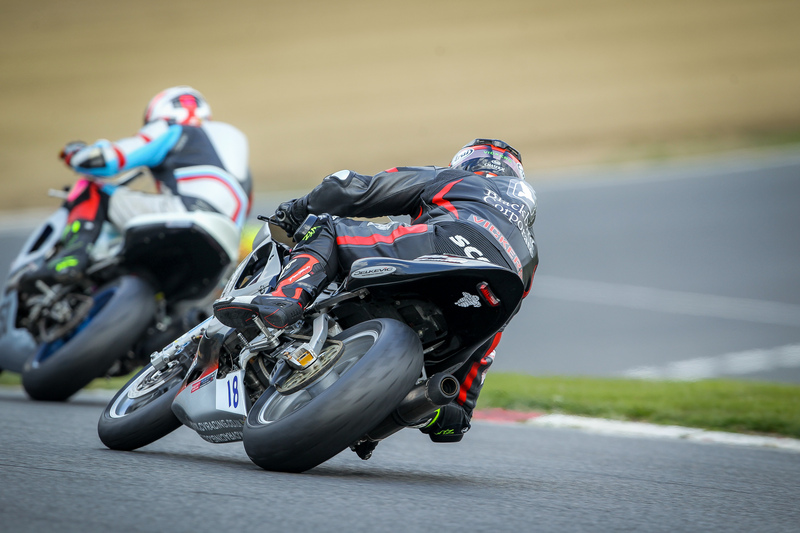 By the 10th lap Liam was hot on the tail of the CV Racing R6 and after pushing hard he managed to nose past going wide at the hairpin and managed to beat Carl to the line by a slim 0.232 seconds for the final podium of the weekend. All in all, a very positive and steady start to the season with a 7th and 3 top 5 finishes meant some very valuable points from what is not necessarily one of Carl's favourite tracks of the season. After some serious tyre wear issues, we will be having another look at the R6 suspension setup to improve things there. One of the bikes will be back on the Delkevic dyno to ensure it is running at its best and will be even better prepared for Snetterton later this month. The Delkevic team wish CV Racing the best of luck for Snetteron and a further race report will be added to the our website blog after the event. Copyright © 2018 | Delkevic Ltd, All Rights Reserved.